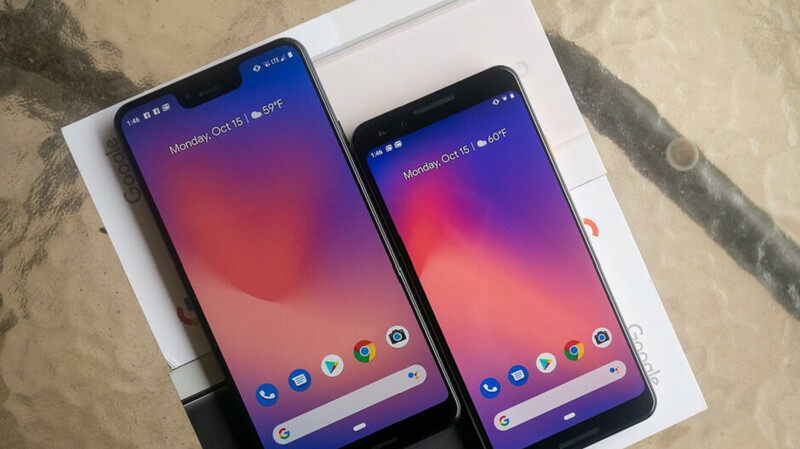 A couple of months ago, we told you that according to Strategy Analytics, the Google Pixel line is the fastest growing smartphone brand in the U.S. Now, a new report from Counterpoint Research notes that over 51% of consumers in the states who purchased a Google Pixel 3 phone during the fourth quarter of 2018, switched from a Samsung device. 31% of Pixel 3 buyers were using the Samsung Galaxy S7 before picking up their new phone. 18% of those buying a Pixel 3 during the last three months of last year were using an iPhone when they made the switch to Android, while 14% dropped the Motorola phone they were using and picked up one of the latest Pixel models. While Google might be happy to see so many Samsung users drop their Galaxy handset for the latest Pixel, in one way the stats could be a disappointment for the company. The Pixel line was partially developed in an attempt to get iOS users to try the Android ecosystem, which is built around the superior Google Assistant virtual helper. Overall, 80% of Pixel 3 buyers from last October to the end of the year had already been using an Android phone when they made their purchase. Counterpoint also crunched similar data for the OnePlus 6T and found that 37% of consumers buying the phone were replacing a Samsung model. 16% were switching to OnePlus from the iPhone, and 15% had been using an LG branded handset. Counterpoint Research Analyst Maurice Klaehne said that when the OnePlus 6T was launched at T-Mobile, many of the carrier's subscribers upgraded from a Galaxy J2 and the Galaxy S7. 70% of those switching to the OnePlus 6T from an iOS-powered handset had an iPhone 7, iPhone 6 or an older model. However, the analyst says that demand for the OnePlus 6T dropped off during the first quarter of this year. The phone, according to Klaehne, appealed to smartphone fanatics and those who seek value when purchasing a phone. But he points out that Apple and Samsung have cut the prices of their older models to match OnePlus' value-based pricing. In addition, OnePlus does not spend much money to market their devices. As a result, Counterpoint does not see OnePlus growing its market share in the current quarter. During the fourth quarter, OnePlus was the fifth most popular smartphone brand in the U.S. according to the International Data Corporation even though it wasn't available in the states during the entire first month of the quarter. During the fourth quarter of 2018, the Pixel 3 and Pixel 3 XL accounted for 7.3% of Verizon's handset sales. Among the four major U.S. carriers, only Verizon sells the Pixel 3 line even though the phone is compatible with all four wireless providers. It also can be purchased from retailers like Best Buy and the online Google store. The OnePlus 6T was responsible for 2.4% of T-Mobile's phone sales from October through December. The device is a T-Mobile exclusive. All fancy stats but they still sell a very low amount of phones compared to other OEM's. Estimated sales are below 5 million per year and they don't even get anywhere near the top 10 OEM's. For a relatively new phone maker selling 5 million phones a year is still impressive especially if you consider it only sold through one carrier. Chinese phones are eating Samsung market share due to lower price with good specs. They should go against android phones not apple. I wonder how many android users also switch to iPhones, i guess the numbers are pretty well. Considering Apples marketshare has not grown for almost 4 years the numbers are likely to be quiet low. Apple's market share staying the same is the calm before the storm. This is what happens to OEMs before the decline starts. Apple has been combating this by moving from 1 phone to about 3-4 phones a year. With more people holding off from a new phone, less people are buying phones overall and Apple will be no different. This is why they are now transitioning to offering services as the smartphone market will soon decline. Its their way to lockup to their ecosystem. So people won’t go anywhere else. I would love to get apple card first hand, titanium card is really cool. Verizon has been offering so many sales on the Pixel 3. It's not surprising their marketing promotions have resulted in significant sales figures.